Annemarie Newhouse, a Fifth Grade Math Specialist at Greenview Upper Elementary School, was recently named one of five finalists statewide, for the Presidential Award for Excellence in Mathematics and Science Teaching. A commendation was given to Mrs. Newhouse at the regular June meeting of the Ohio Board of Education, in Columbus, Ohio, where she was greeted by the area’s board member, Ms. Mary Rose Oakar. 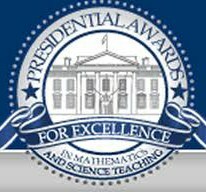 The Presidential Award for Excellence in Mathematics and Science Teaching is the highest honor for teachers in the subject matters of Mathematics and Science in the country. Though the winner among the five finalists has not been chosen, the South Euclid Lyndhurst Schools congratulates Mrs. Annemarie Newhouse of Greenview Upper Elementary on this fine achievement.